With the rise in home workers and home-based businesses, there is little doubt that the home office has become a much needed requirement for so many households in the UK. Squeezing an area into your space to accommodate a desk and a chair may seem all that is required to get on with your day and be efficient in completing whatever tasks you see fit. And in some respects, this may be true. For myself, I left a full time job where I had my own rather boring grey cubicle and sensible office chair for a life of freelance work where my commute is basically just coming down the stairs and switching the kettle on! 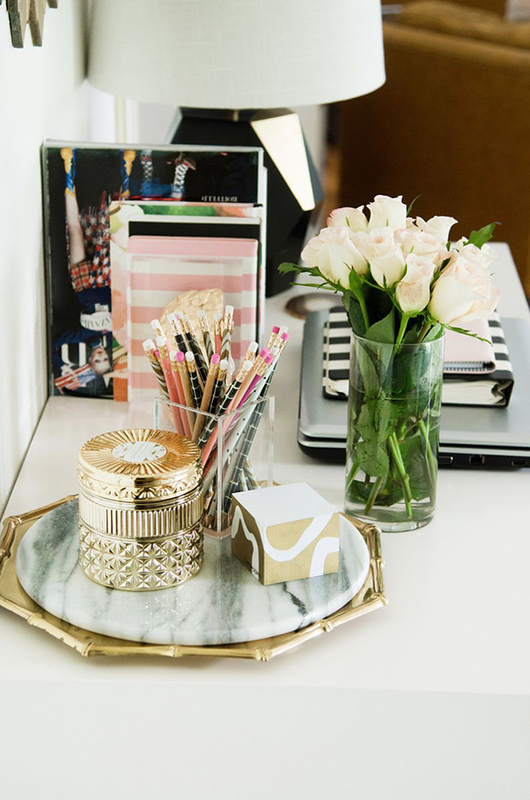 As a creative, however, having a workspace that truly inspires me is an important aspect of my day and so what I choose to put in my office can be and should be highly personal. And that’s the beauty of styling your own home office. You are no longer constrained to those cubicle farms or forced to accept the practical but often rather bland designs of most office buildings. 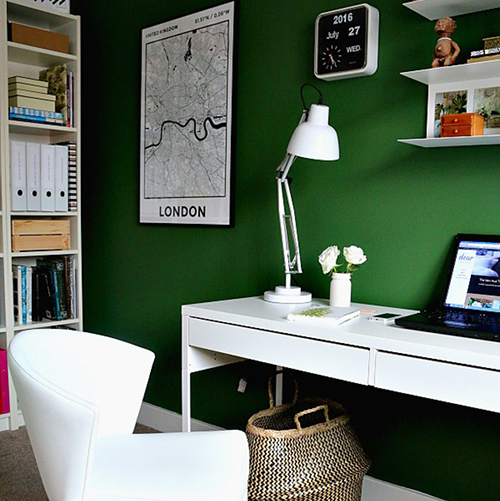 Your home office can be personalised to your tastes and to fit in with the rest of your decorative style in your home. 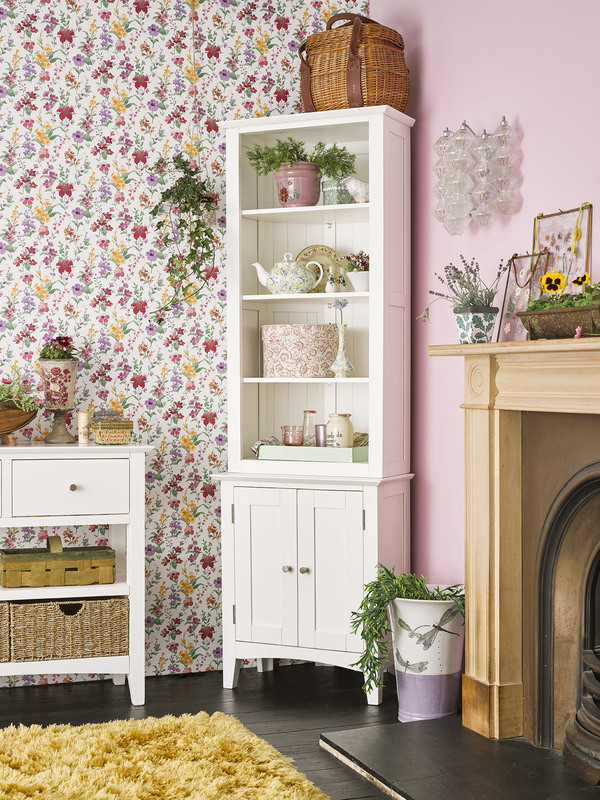 If you surround yourself with things you really love and things that inspire you, your home office will be a place you actually look forward to settling into, cup of tea in hand, ready to tackle whatever your day holds. Our Kemble Rustic Solid Oak & Painted Computer Desk. 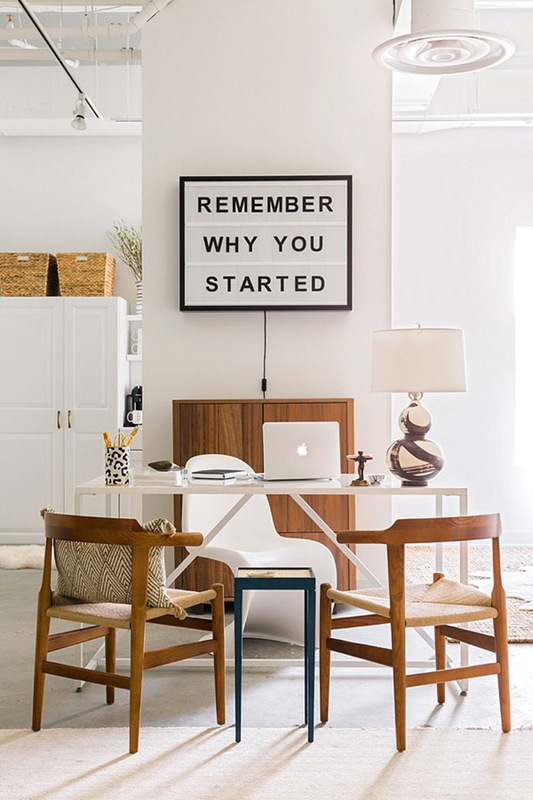 Today, I wanted to share a few ideas for styling your home office space – whether it’s an entire room or simply a small alcove, it’s all about bringing your personality in and keeping you motivated and inspired. Whatever it takes so that you aren’t tempted to work from the sofa with one eye on the latest Netflix box set! 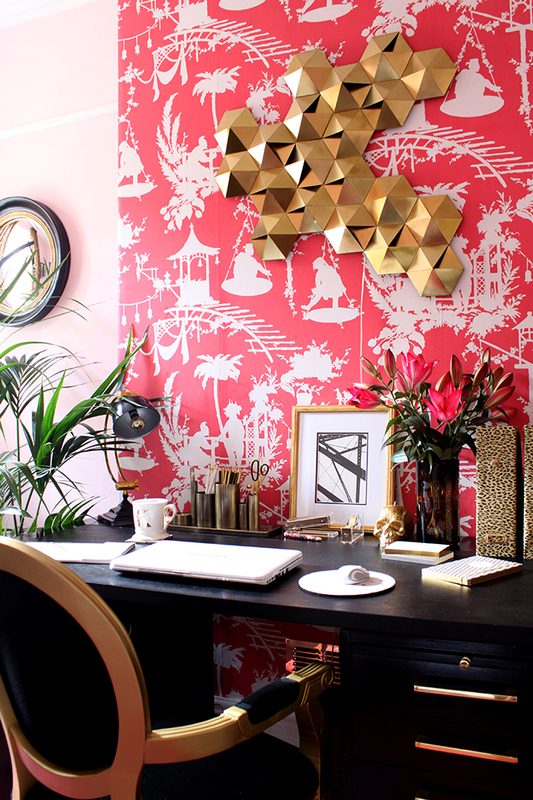 I am a maximalist at heart and I love colour in my home so it was natural that I would inject bold colour and pattern in my own home office as seen above. Choose colours for your office that make you feel happy and energised. For me, a bold salmon pink was the perfect shade to make me feel excited about the day ahead. 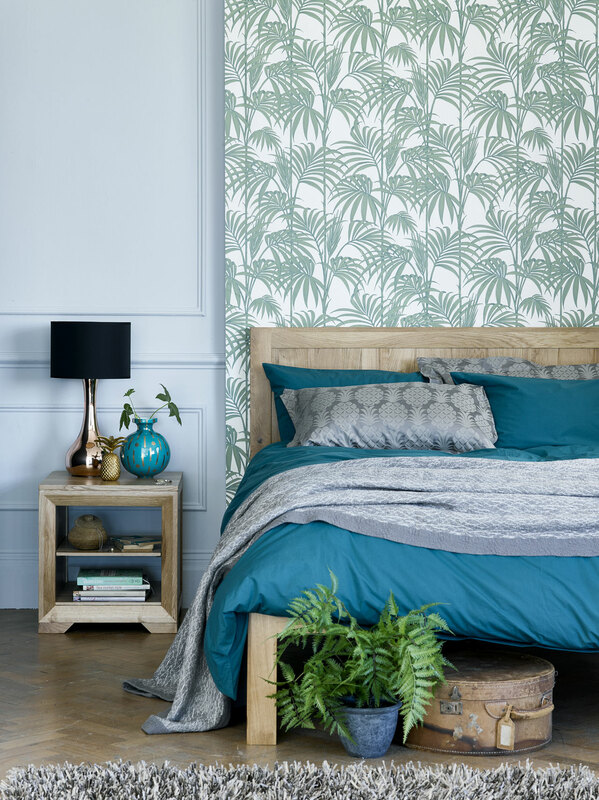 This is of course a personal choice but choosing those shades and tones that induce a positive response for you are important. 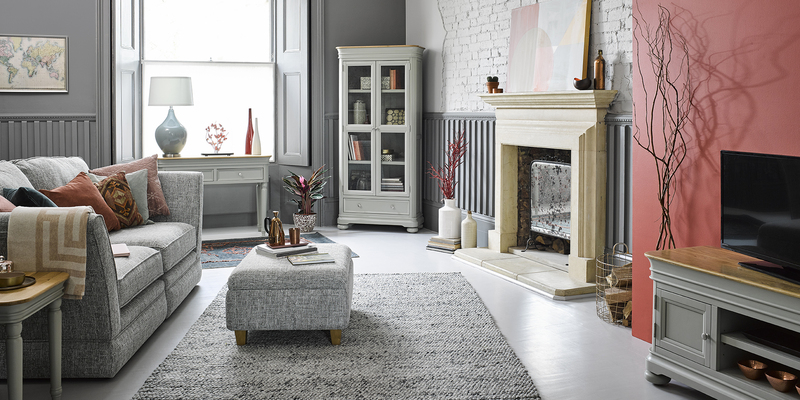 I couldn’t personally work in a grey or fully neutral office – you may be different! – but recognising the shades that have a negative effect on our psyche are just as important to avoid as those that make us feel our best. 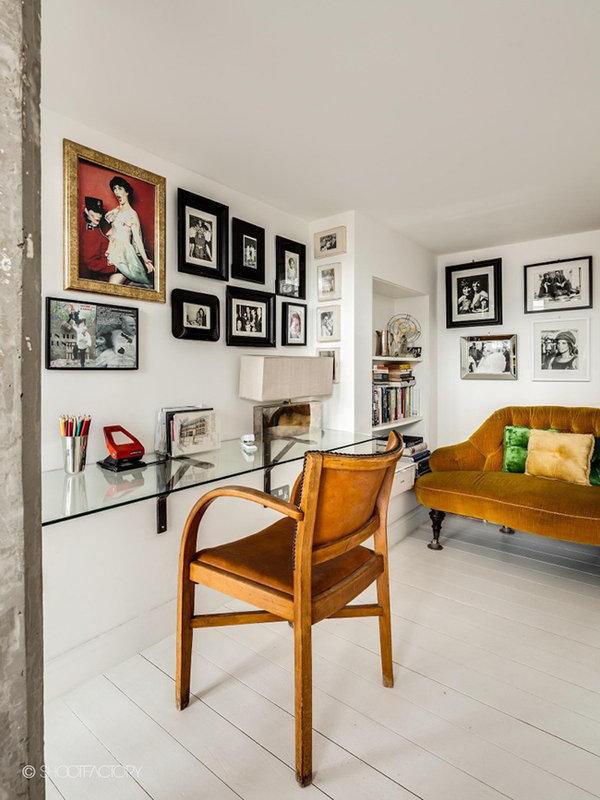 While it may be difficult to include more than a few small frames on a desk in a corporate job, in your own home, you can afford to surround yourself with art you love. 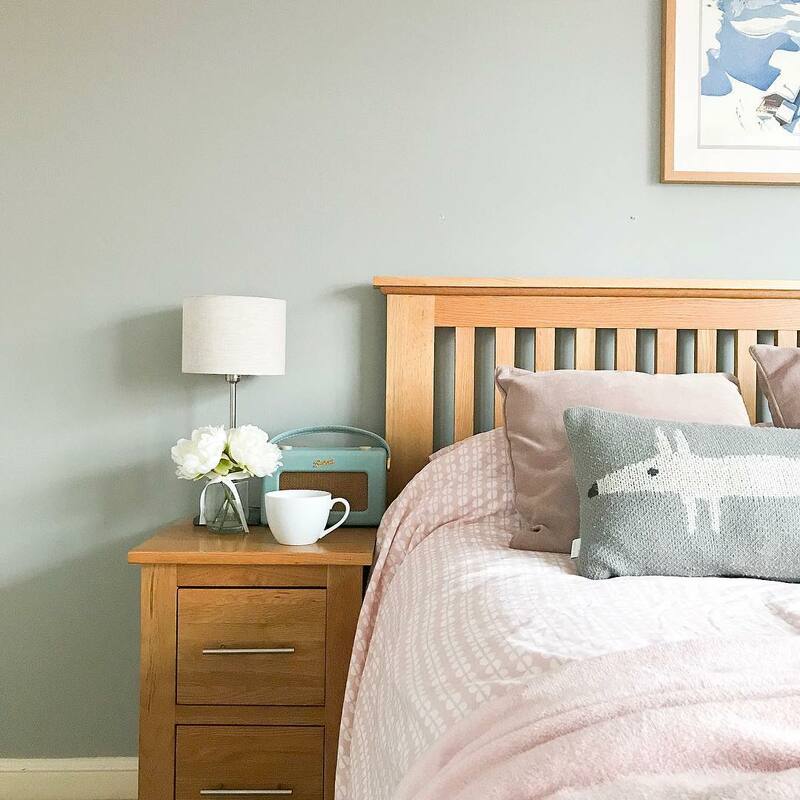 Whether it’s mid-century style oil paintings you snagged at a local charity shop, framed pictures of your family or abstracts that you are drawn to, including art will always make a room look more polished. It can also help to tie an office area in a shared space into the rest of the room. 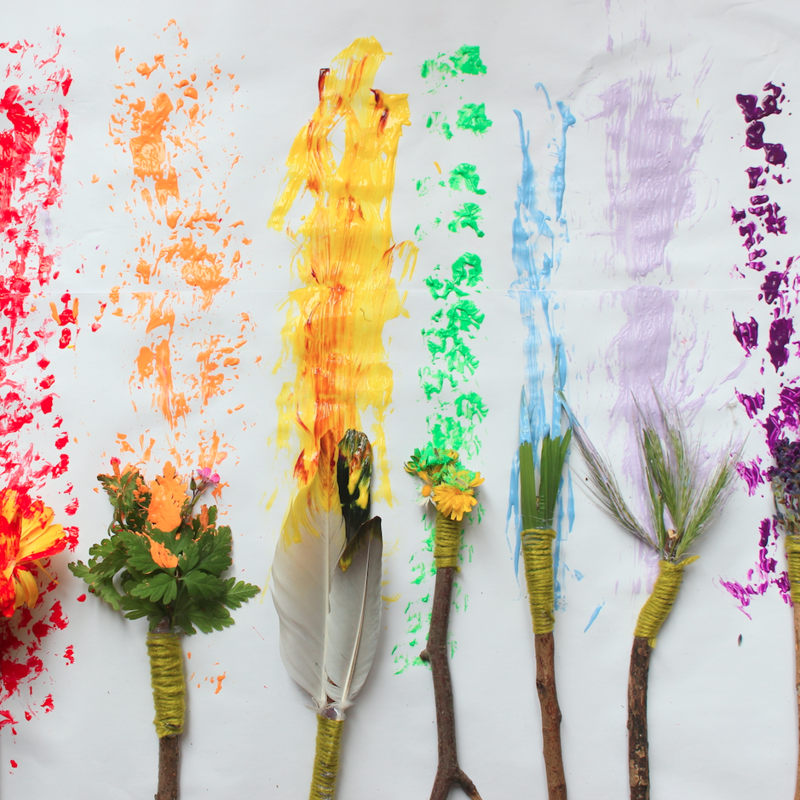 Check out our post on creative ways to add art for more tips. For creative types, having a moodboard can assist us in getting over any creative blocks in our field of work. 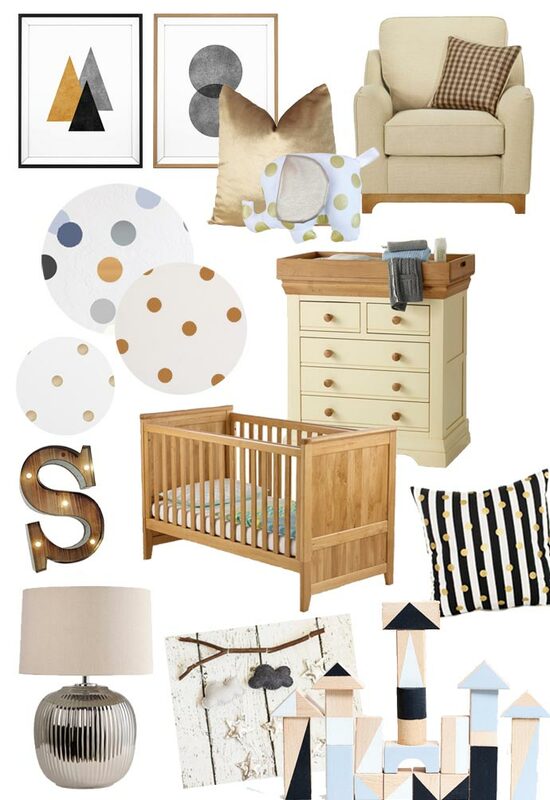 The beauty of a physical moodboard is not only in it’s tactility but in it’s ease of changing it when the mood strikes. 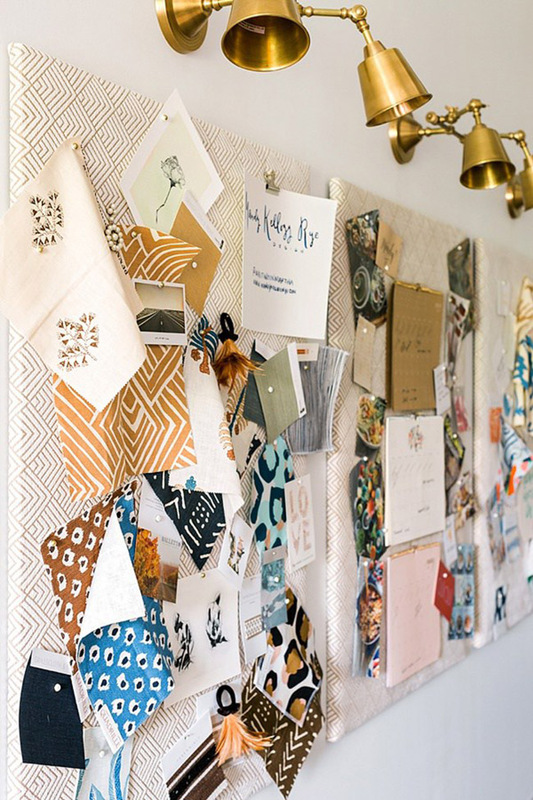 You can incorporate magazine cut outs, pieces of fabric, postcards, letters from clients or anything else that makes us feel good about our working lives. This is an area that will always be entirely personal to you and tell your own story. One of the best ways to bring in some style is by using pieces that tell the story of you. In the above office, a large stylised map of London gives a sense of history and personality to the space. 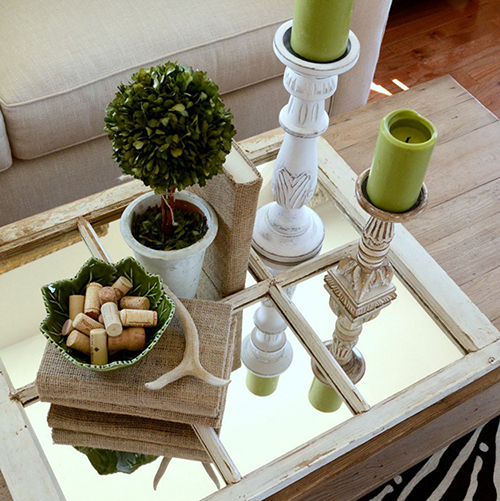 Using items in your decor that are personal to you and your life can give you a sense of belonging as well as create some layers of personality to your space. Consider items picked up in your travels, objects that have special meaning to you or your family, or things you’ve created yourself. All of these things will contribute to bringing your personality in. There’s no reason when working from home to rely on a florescent bulb flickering overhead like you get in so many drab office spaces. This is one area you can afford to have fun with! Dress up your space with lighting that compliments the over all look and feel of your home. Here, a stylish pendant and a simple gold task lamp create a welcoming feminine space. Choose a few pieces of lighting that not only cast enough light on your space to get your work done but that also compliment the look you are trying to achieve. Even the practical items we all need in our office spaces – pens, pencils, notepads, folders and the like – can be a part of your overall design theme. There are plenty of great stationary products on the market for nearly any style. And how much nicer is it to work with items you love and want to use on a day to day basis to keep you motivated? Speaking of motivation, there’s something to be said for the classic motivational quote. While we may not see a cat hanging from a tree in office spaces any more (am I the only one who remembers the ‘Hang in There’ posters? ), there are plenty of great prints on the market with sayings we are sure to relate to. Typography prints are very popular at the moment but I love the idea of using a light up board as above so that those quotes can be swapped out when we find something new to love. And finally, no space is really complete without a bit of life. 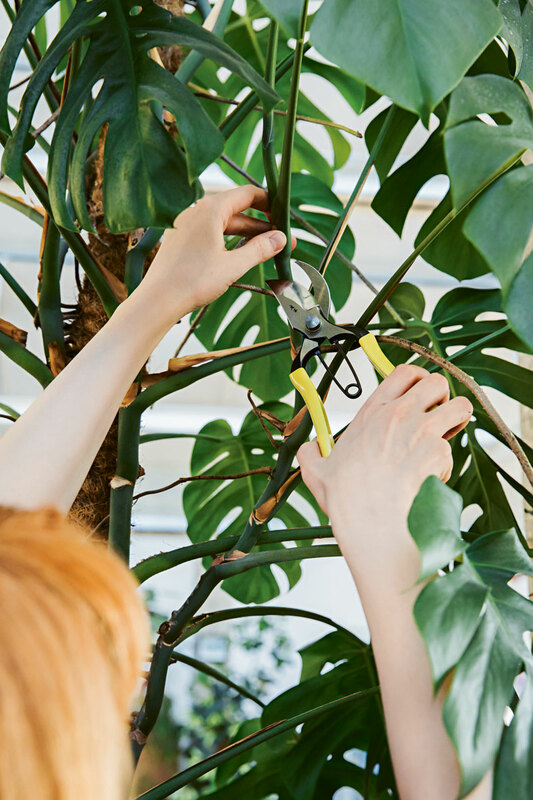 Adding a lovely inexpensive posie of flowers picked up at the supermarket or a potted plant can actually increase your productivity, relieve stress and help purify the air. Plus, they add an organic element to your surroundings which always make a space look more complete. 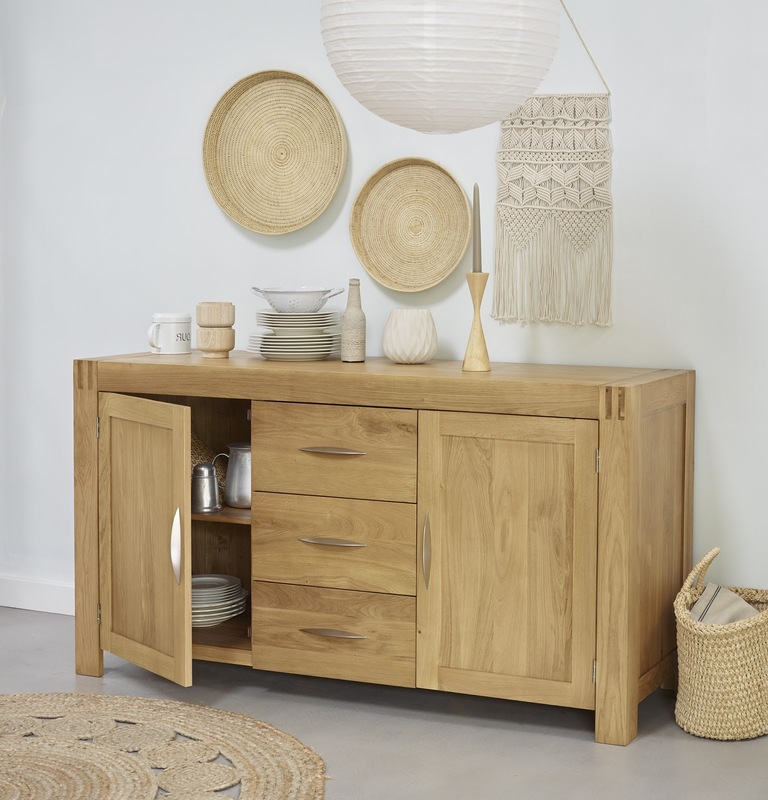 Be sure to check out our full range of home office furniture to complete your space. 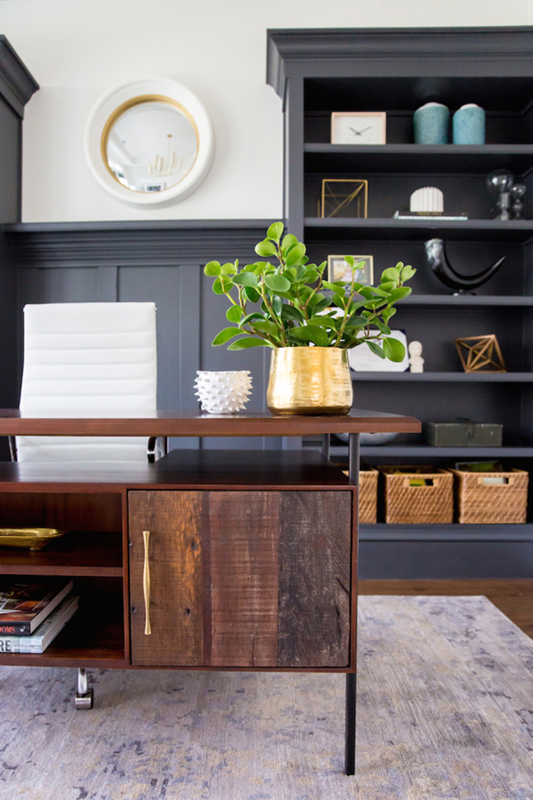 For more information and tips on decorating your office, check out our posts on Creating a Home Office in 5 Easy Steps, our Home Office Buying Guide and tips for keeping your office clean. 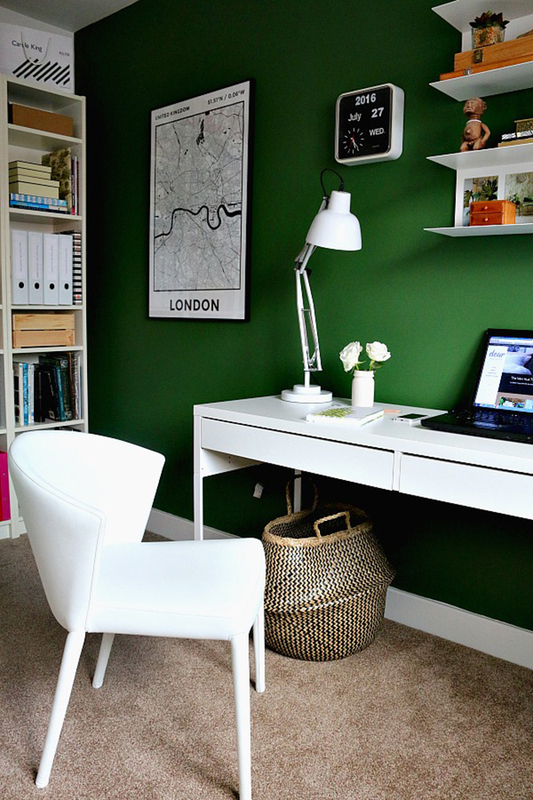 How do you style your own home office? Share your pics with us on Twitter, Instagram and Facebook and we’ll be sure to feature our favourites!